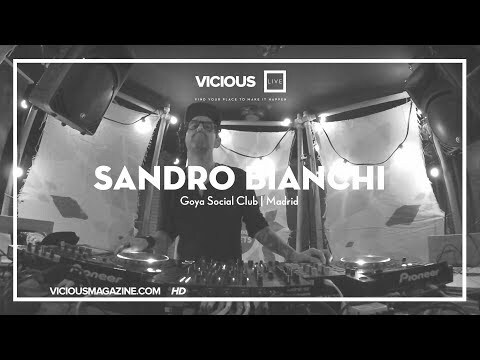 Born in Rome and bred in Madrid, Sandro is one of the most dynamic DJs in the Spanish underground scene, constantly engaged in local residencies as well as international lineups. 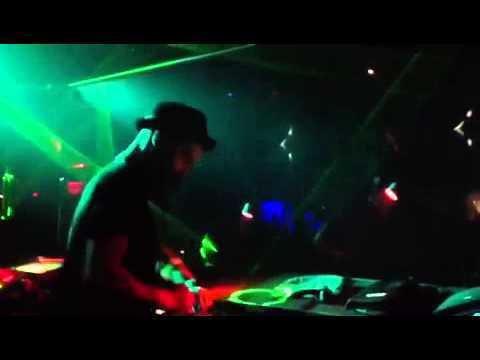 His track record of successes includes over twenty years behind the decks at some of the most significant clubs in Spain and beyond, as well as more than a decade commanding the airwaves, with up to 3 weekly shows in competing stations (Radio Círculo-Mad, Locafm-Mad & Ibiza Sónica-Ibz). As a result, Sandro’s background is 100% eclectic and connects to lead lineups across the world, specializing in House, Disco / Nu-Disco and Techno, always with an eye on finding the right reference for every crowd and listener. Having played extensively nationwide as well as internationally at mythical clubs like Cielo (NYC), Flex Club (Vienna), Propaganda (Moscow), Weekend (Berlin), Culture Box (Copenhagen), DV1 (Lyon) and Balz Club (Basel) as well as key nights and festivals in Spain & in South and Central America (Ultra Music Festival Brasil, Mexico, Peru, FIL Festival, FIB, Electrosplash, Melonfest, Jameos Festival…), Sandro is also a founding member of Madrid’s renowned Madactive Collective. bewild records (London, UK), infinity mind (Chicago) and National Staples like Seven Villas, Alma Soul Music, Logical Records, Los Grandes & more. Now is about to start his annual compilation series "Café Del Mar Deep & Disco By Sandrobianchi" for the famous Ibiza label & launch his own acid label. For booking, enquires, remix & compilations requests, you may call to +(34) 617334271 or fill the contact form, and i’ll get back to you.